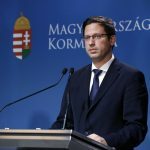 The lack of progress in an Article 7 procedure launched against the Hungarian government in the European Commission shows that the European Parliament’s “pro-migration majority” is using “trumped-up charges” in an effort to get Hungary condemned, the state secretary in charge of European Union relations said on Tuesday. Judit Varga attended a meeting of EU affairs ministers in Luxembourg which included the procedure against Hungary on its agenda for the fifth time. Varga said the meeting did not include an official hearing, only an assessment of the situation concerning the rule of law in Hungary, followed by representatives from certain member states trying to convince Romania, which holds the EU’s rotating presidency, to advance the procedure to the next stage. She reiterated that the procedure only represented an attempt to exercise pressure on Hungary in order to get the government to change its anti-migration policy. 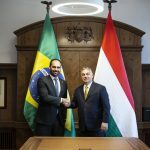 Varga said the Hungarian government was ready to act as a partner in a fair procedure because “once the discussion is focused on facts and legal details, the pro-migration majority loses ammunition”.